President Trump on Tuesday (5th of February 2019) lumped U.S. participation in overseas wars and ongoing domestic probes into his 2016 campaign as threats posed to the country’s economic and political prosperity. “Our country is vibrant, and our economy is thriving like never before. On Friday, it was announced that we added another 304,000 jobs last month alone — almost double the number what was expected. An economic miracle is taking place in the United States — and the only thing that can stop it are foolish wars, politics, or ridiculous partisan investigations,” Trump said during his second State of the Union. 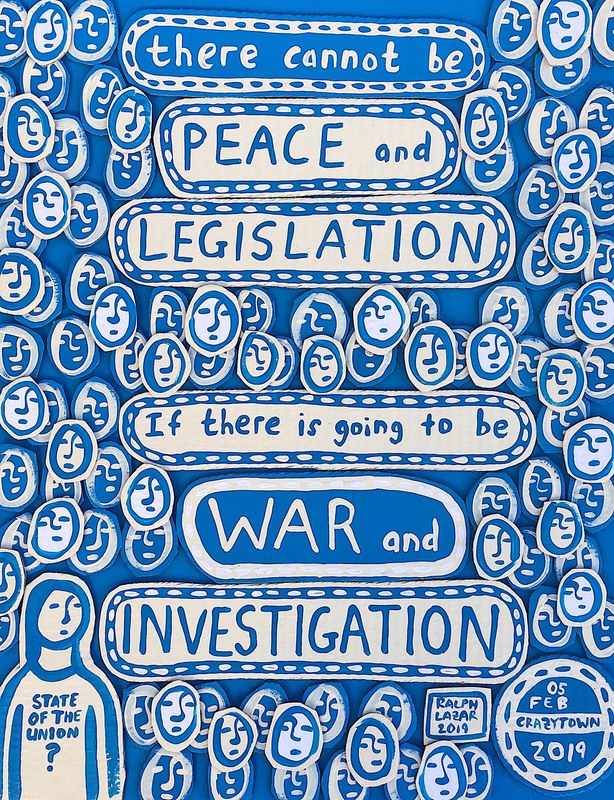 “If there is going to be peace and legislation, there cannot be war and investigation. It just doesn’t work that way! We must be united at home to defeat our adversaries abroad,” the president told the joint session of Congress. Trump’s remarks were quickly critiqued by Democrats, including House Speaker Nancy Pelosi’s press team. “Sorry, sir. But Article 1 of the Constitution is the legislative branch. And it has the responsibility to exercise oversight of the other branches of government. We would be delinquent in our duties if we failed to provide the necessary oversight,” the California Democrat’s representatives tweeted via her campaign social media account.